FLIR Launches Its First Uncooled Methane Gas Detection Camera | FLIR Systems, Inc.
WILSONVILLE, Ore.--(BUSINESS WIRE)--Feb. 5, 2019-- FLIR Systems, Inc. (NASDAQ: FLIR) today announced the FLIR GF77 Gas Find IR, its first uncooled thermal camera designed for detecting methane. This handheld camera offers inspection professionals the features they need to find potentially dangerous, invisible methane leaks at natural gas power plants, renewable energy production facilities, industrial plants, and other locations along a natural gas supply chain. 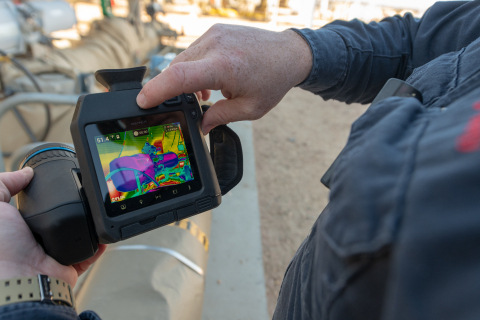 The GF77 provides methane gas detection capability at roughly half the price of cooled gas inspection thermal cameras, to empower the oil and gas industry to reduce emissions and ensure a safer work environment.